These days movies based on comic books have become the highest box-office earners. This new interest in the characters has sparked higher comic book sales and increased the prices of the rare/collectable issues. 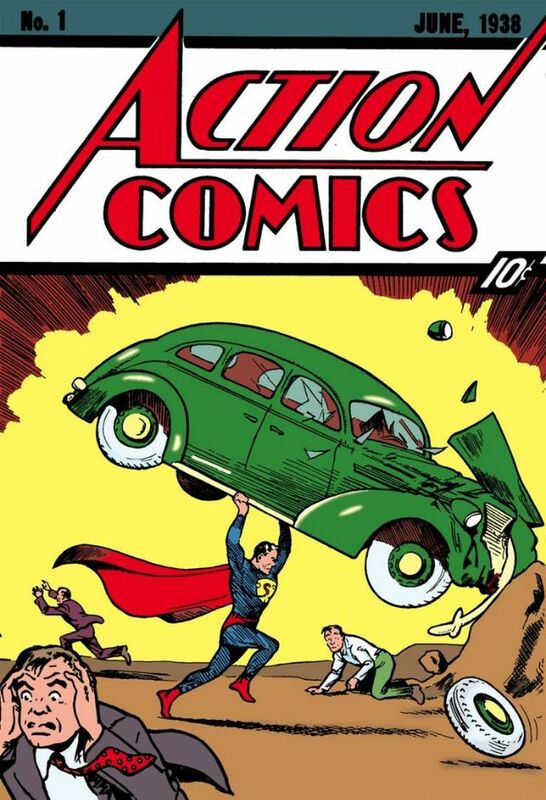 For example, with no more than 100 copies left in the world, a near-mint copy of Action Comics No.1 (the first comic book to feature Superman) sold for $3.2 million on eBay in 2014. These are the 10 most valuable comic books. And yes, some of these titles weren’t D.C. comics at the time, but since they are now, or at least the characters within are now, they’re included. 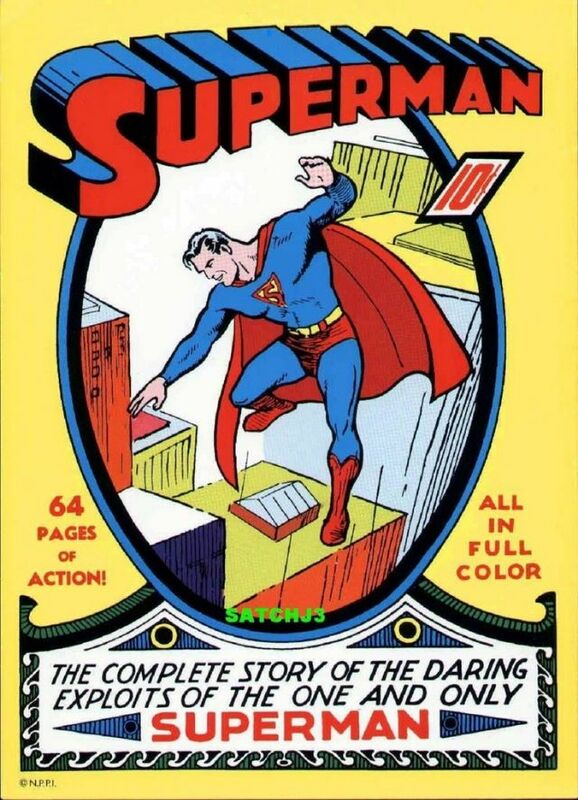 In June of 1938, National Allied Publications launched Action Comics, the first to feature not just Superman (and Lois Lane and Clark Kent), but also the first to introduce the world to the superhero archetype – an archetype the world was apparently craving. If you look at pop culture today, it’s hard not to see Superman’s impact. That kind of cultural cache doesn’t escape the keen eyes and big wallets of collectors worldwide, nor does the fact that there are supposedly only 50 or so unrestored original copies of the book, out of the roughly 200,000 that were first printed. In August of 2014, no less than 48 bidders took to eBay to try and commandeer a pristine copy of the issue. After some intense bidding, the comic sold for a whopping $3,207,852, which is exactly $3,207,851.90 more than the 10-cent cover price. It’s a record that still stands today, having broken the previous mark set in 2011 when a less pristine copy of Action Comics #1 (which was once stolen from Nicolas Cage) sold for $2,161,000. But judging from Nostomania’s list, it’s a record that’s meant to be broken, if current values hold. And with comic books continuing to define the pop culture landscape, there’s no reason to think those values will start falling anytime soon. Now we get to the big ticket stuff. In the wake of Superman’s Action Comics popularity, publishers were quick to request more superhero titles from their creative teams. Superheroes began to spring up out of the woodwork, and the Golden Age of Comics was born. 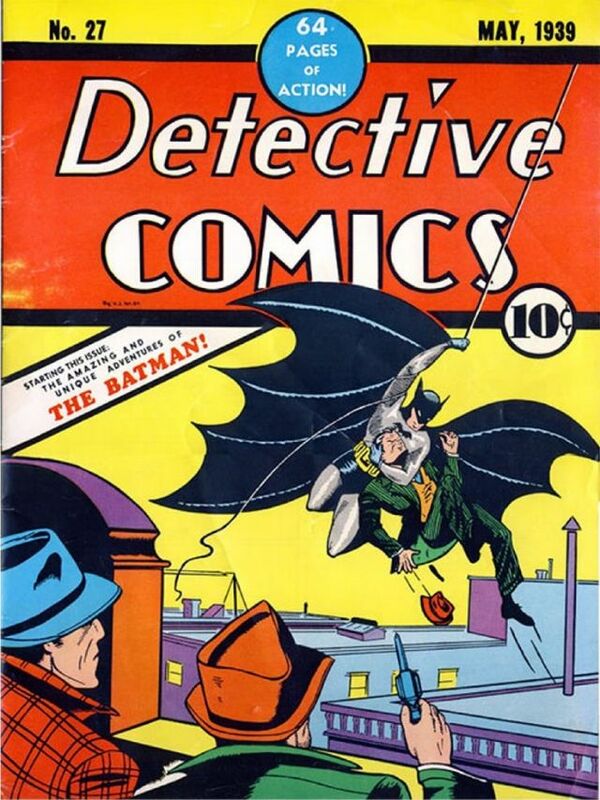 Writer Bill Finger and artist Bob Kane contributed Batman - or "The Batman" as he was known in this May 1939 issue - and the character became an immediate hit. But the reason this book is so valuable is because Batman remains a hit; the Dark Knight is currently starring in six DC titles, and we hear he may be in another movie again soon, something about dawn or something. Issue #27 is still an anthology of detective stories, at its core, featuring usual suspects Fu Manchu, The Crimson Avenger, and detective Slam Bradley. And The Batman’s adventure in this issue, “The Case of the Chemical Syndicate,” is very much a detective story in that vein, eschewing any real origin story for a mystery plot. Still, many of the elements that you recognize today were there from the beginning: a caped crusader, Bruce Wayne, Commissioner Gordon, Gotham City, and even a vat of acid. The fourth most valuable comic of all time (the only Marvel title to surpass it is Marvel Comics #1 at $859,000) ranks so high for the very reason you’d expect: this is Superman’s first standalone comic. It’s also the first standalone treatment for any superhero character. Who cares if it’s basically a rehash of Superman’s exploits from the first four Action Comics strips, which give us most of Kal-El’s origin story and superhero beginnings? Mixed in with a little bit of filler on the Ma ‘n Pa Kent story, this June 1939 issue also finds Supes mussing with an arms dealer’s warmongering, straightening out a crooked mining company, and unfixing a fixed football game. Of course, Superman’s popularity continued to grow, as DC cranked out 714 issues before rebooting the series in 2011. The book also features the stories “The Joker” and “The Joker Returns,” where the Joker first rears his toothy grin. The Joker actually gets stabbed in the heart at the end of the “The Joker Returns,” which should have done him in then and there. But editor Whitney Ellsworth wouldn’t let the maniac die, and another panel was quickly created, showing that the Joker was still alive. And as if that’s not enough for collectors to cackle about, another story, called “The Cat,” offers up the first appearance of the character who would become "Cat-Woman" in issue #2 (and Catwoman shortly after that). Though its biggest moment wouldn’t come for another 26 issues, Detective Comics is more than just the comic book series that gave us Batman. In a bigger sense, it’s the comic book series that gave us DC Comics. And allowed it to flourish, providing the company that would become DC and the company DC became to both reap capital from the series, which became the longest continuously running comic, spanning from March 1937 to August 2011, when it finally tapped out at #881 (before getting rebooted during the New 52 the next month). 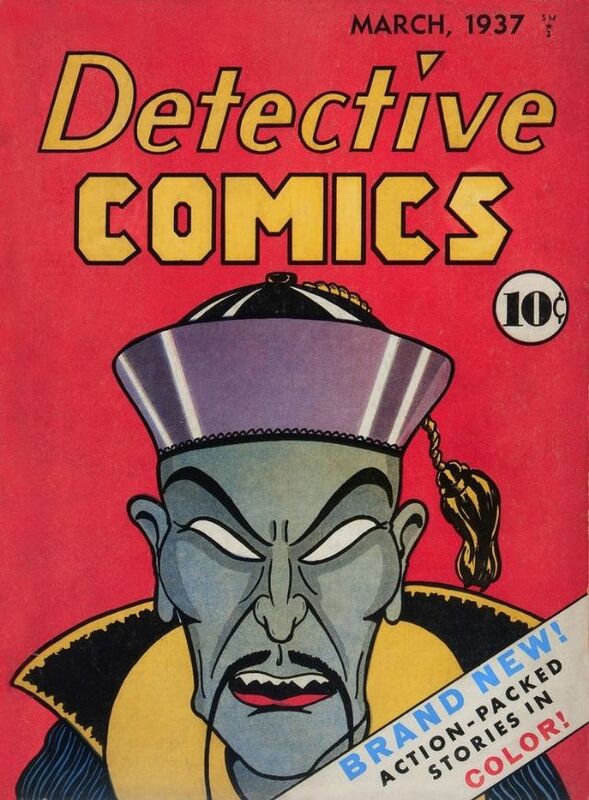 And it all began here, with ten "hard-boiled detective" stories about characters like cover boy Ching Lung (a rather unfortunate racial caricature, as can be seen on the cover), The River Patrol (versus Cap’n Scum), and Slam Bradley (created by Jerry Siegel and Joe Shuster, two years before they’re Superman character would fly up, up, and away). All-American was published by All-American Publications, another forerunner of DC Comics, which ran for 102 issues from 1939 to 1948. But from a collector’s standpoint, #16 is the most important of all of them. Why? Because it features the first appearance of a much celebrated character, who’s light still shines today: the Green Lantern. Even rarer, the July, 1940 issue also gives us the character’s origin story, as created by writer Bill Finger and artist Martin Nodell. 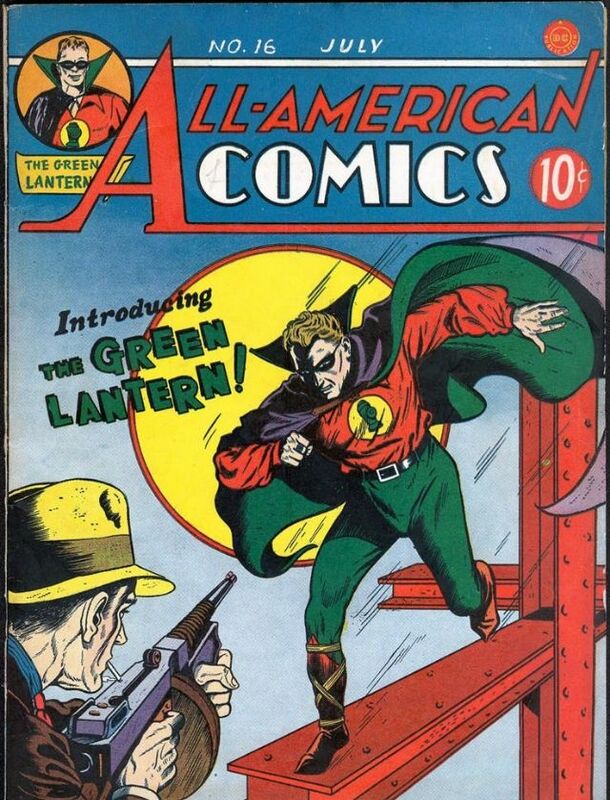 The first ring bearer, a young railroad engineer named Alan Scott, miraculously survives a train wreck by clinging to a supernatural, green miner’s lantern. A voice tells Scott the lantern is the green flame of life, and recounts the ancient “Tales of the Green Lantern.” Scott gets inspired to mold the lantern’s green flame into a ring, which gives him superpowers, including the power of flight and the ability to deflect bullets. So Scott goes after the men responsible for the train wreck in the first place. 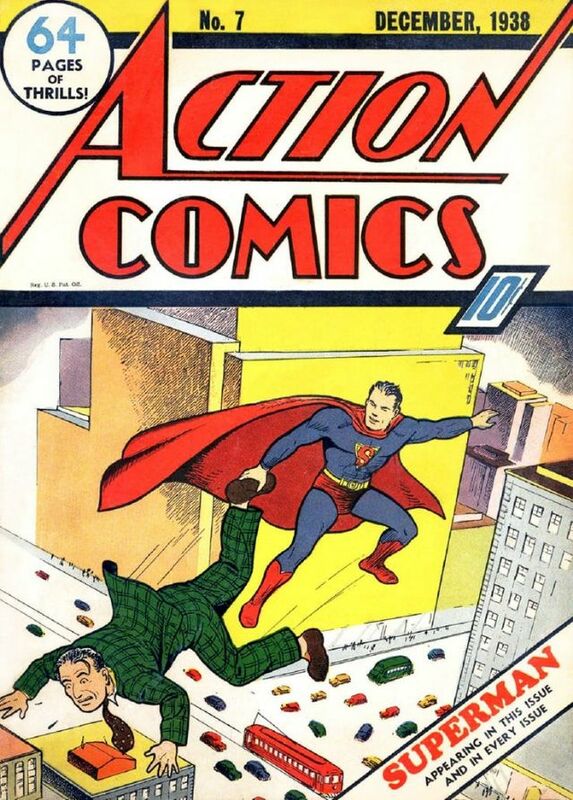 Though more important developments occur in earlier issues, Action Comics #7, from December of 1938, is the second most valuable of the series that introduced the world to Superman. Reason being is it’s the second issue to have Supes on the cover since Donenfeld initially dismissed issue #1’s cover as ridiculous, and forbade his appearance on anymore covers. But after realizing the Man of Steel was a big reason behind the book’s initial popularity, Donenfeld quickly changed his mind. The story finds Superman in yellow boots (though not on the cover), intervening on behalf of Mr. Jordan, the owner of a circus who’s being pestered by a debt-collector, Mr. Niles. Superman also comes to the rescue of Lois Lane, but that’s old hat already, as this is already the second time in Supes’ brief existence that he’s had to help the damsel in distress. Clark Kent also gets some quality page-time here, as a fellow reporter bullies hapless Clark, only to get served up some red-caped comeuppance by Superman using his super-speed to disrobe the bully. 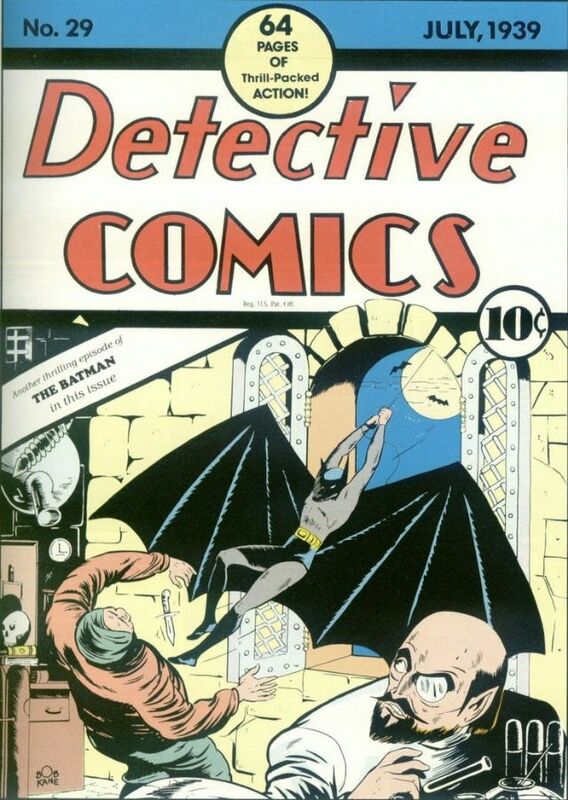 The fifth appearance of Batman, in September of 1939, is notable for a number of reasons, first and foremost: the classic cover art, which Comic Connect describes as “the iconic image of the caped crusader for the Golden Age. Dark, brooding, and classic, this cinematic image more than any other captures the drama and crude power of early Batman.” Somehow, the image still holds up as exemplary. #31 is also notable for the storyline, which features Bruce Wayne’s fiancée, Julie Madison, being hypnotized by a masked master of crime known as The Monk. It’s quite the gumshoe case, which only Batman can solve. Fortunately, he’s helped out by the first ever usage of the Batarang and the Batgyro, an early prototype of the batplane. 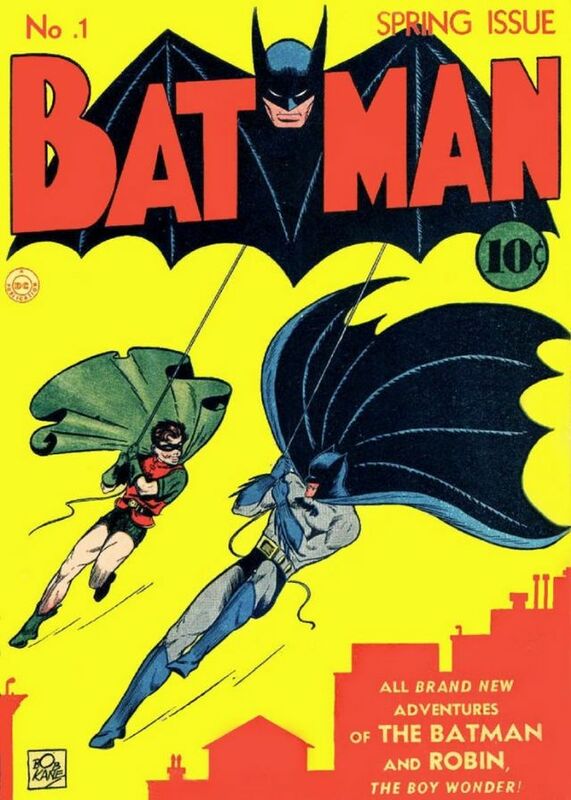 This book, the 29th issue of DC's namesake series, features the third appearance of Batman, but since it’s only the second issue ever to include the Caped Crusader on the cover, it’s considered more valuable than Detective Comics #28. The book also includes the first supervillain that Batman ever meets, Doctor Death, a mad scientist who develops a lethal pollen-based poison that he uses to extort money from Gotham’s high society. Of course, he must first kill Batman. As you may have guessed, the bad doctor’s plan backfires in glorious fashion, and he blows himself up, along with his manservant Jabah. But worry not, in issue #30, Doctor Death miraculously reemerges to become the Dark Knight’s first recurring foe (along with a new manservant, a Cossack named Mikhail). 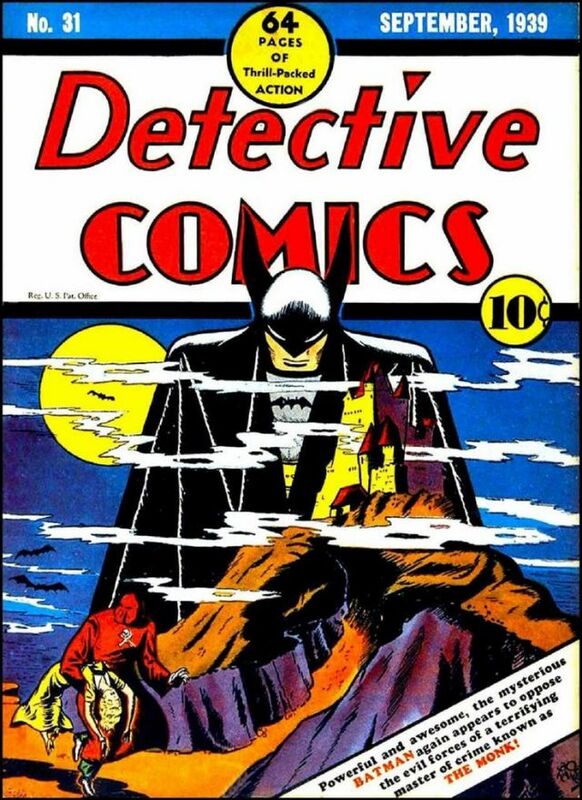 Detective Comics is the third title that Wheeler-Nicholson started. But he may have had more creative sense than business moxie, as he needed money to help get it published. So he turned to printing-plant owner and magazine distributor Harry Donenfeld. Together, they formed Detective Comics, Inc., the company that would become DC Comics (though not officially until 1977). Donenfeld forced Wheeler-Nicholson out within the year. 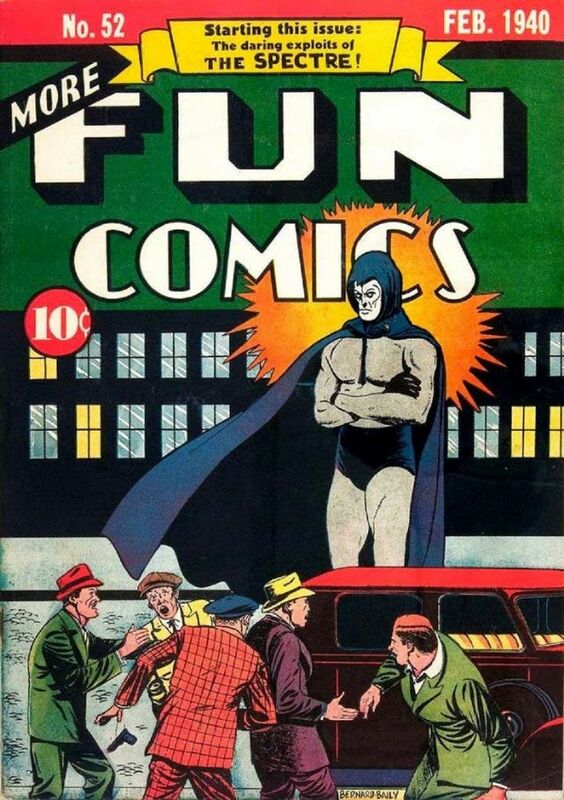 Entrepreneur and comics pioneer Major Malcolm Wheeler-Nicholson’s company, National Allied Publications, first published this tabloid-sized anthology, also called New Fun: The Big Comic Magazine or New Fun Comics. Beginning in February 1935, it was the first comic book full of wholly original material, meaning comics that hadn’t before been seen in the newspapers. But more importantly, it was the first effort put out by the man who got squeezed out of the company that would later become DC Comics. Indeed, issue #1 is quite valuable in its own right ($285,000), but #52 is worth even more, because, as with many of these super-valuable comics, it features the first appearance of a major character, in this case, The Spectre. Created by Superman co-creator, Jerry Siegel, along with artist Bernard Baily, The Spectre detailed the grisly murder of Detective Jim Corrigan and his resurrection as a grim, vengeance-seeking, supernatural being, one of the darker superheroes ever imagined up until that point in time, and one of the longest lasting.